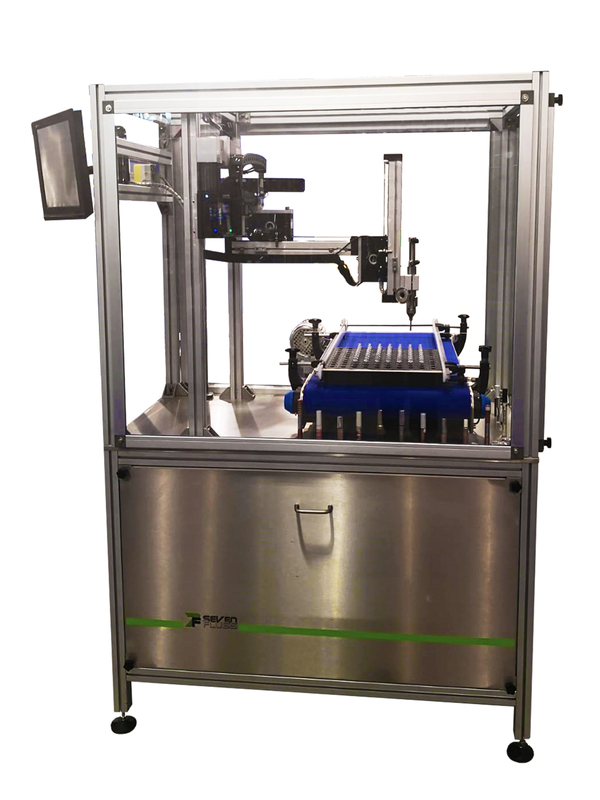 Tecnofluss is specialized in the manufacturing of systems with the integration of anthropomorphous, scara or brushless driven linear axis robots. Solution for food, chemical, cosmetic and pharmaceutical industries. 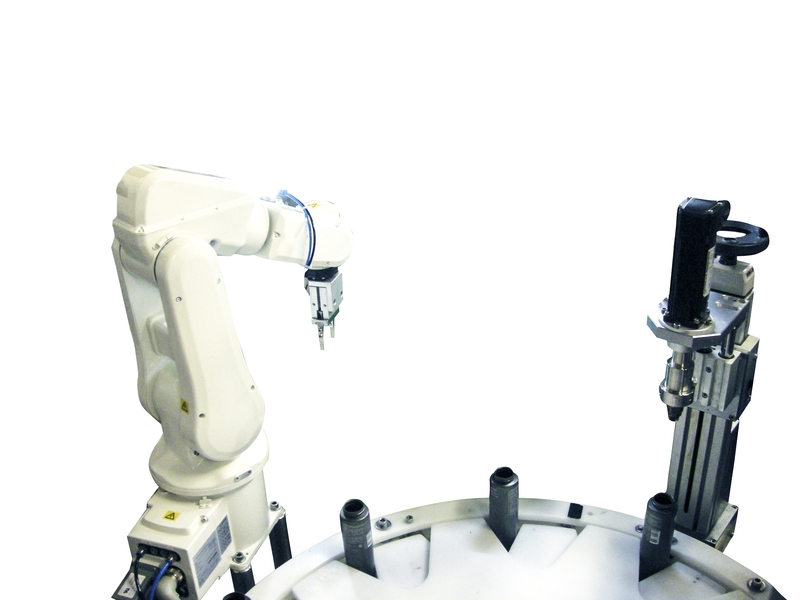 Tecno Fluss makes complete systems with the integration of 6-axis anthropomorphous robots, Scara robots, robots with electric axis with linear guides driven by brushless motors. Solutions for the cosmetic industry, like mascara, lip-gloss, lip-sticks and cosmetic bags. Systems designed for spray dispensers of perfumes. 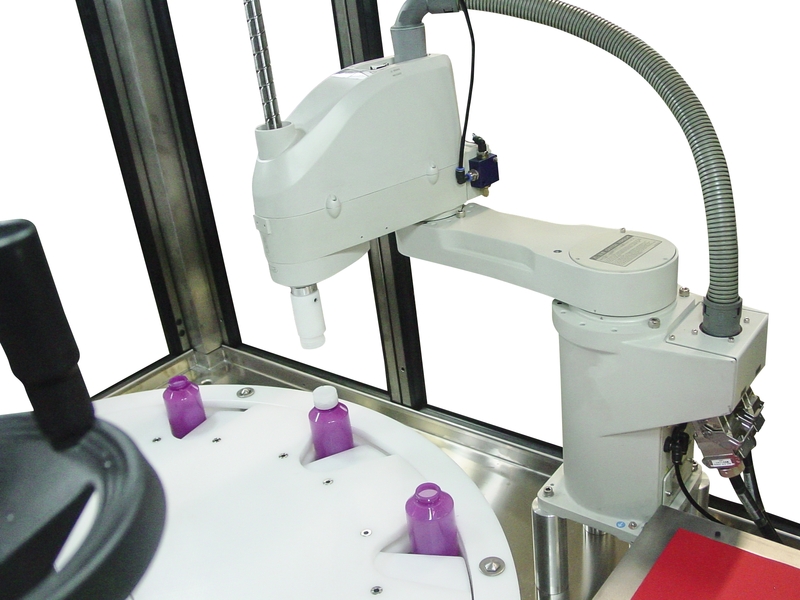 Pick&place solutions for manipulation and positioning of caps, dispensers etc..
Robotic isles for assembling for cosmetics and pharmaceutics. Manipulation for loading and unloading of test tubes and little containers like sticks. Possibility of remote teleservice and solutions for Industry 4.0. With Tecno Fluss you have chosen a business partner of high reliability for the automation in your Company. 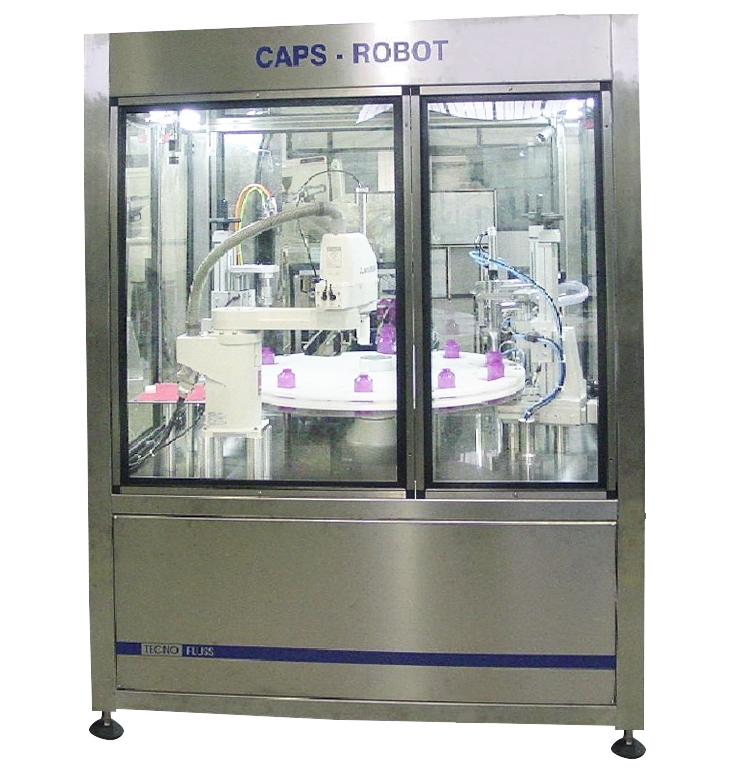 Applications of assembling and positioning of bottles – caps – cosmetic bags.